An American basketball coach Steve Clifford is the head coach of the Orlando Magic of the National Basketball Association (NBA). Previously, Clifford was the head coach of the Charlotte Hornets. Before being an NBA coach, Clifford worked as a teacher at Woodland High School and was also a head coach. Similarly, Clifford served as an assistant coach for the New York Knicks, Houston Rockets, Los Angeles Lakers, and others. Clifford currently has an estimated net worth of $4 million. Steve Clifford was born on 17th September 1961, in Island Falls, Maine, United States. Until the third grade, Clifford grew up in Mattawamkeag, Maine and later moved to Vermont. His father Gerald Clifford was a head coach at North Country Union High School in Newport, Vermont where he played varsity basketball. Clifford belongs to an American nationality. He attended the University of Maine at Farmington where he played college basketball. Clifford was even named team captain and was further named Best Defensive Player. Clifford completed his graduation with a degree in special education. Soon after his graduation, Steve Clifford worked as a teacher at Woodland High School. Moreover, he was also the head coach of the school's basketball team for two seasons. Later, Clifford served as an assistant coach for St. Anselm’s College, Fairfield University, Boston University, and Siena College. Clifford served as an NBA assistant coach for the New York Knicks and Houston Rockets under the head coach Jeff Van Gundy. Similarly, he further worked for Orlando Magic. For 2012–13 season, Clifford was an assistant coach for Los Angeles Lakers. Clifford was hired by Charlotte Bobcats as their head coach on 29th May 2013. After leading the Bobcats to a 7–1 record leading to the playoffs, Clifford was named the Eastern Conference Coach of the Month for April 2014. However, he was fired as head coach on 13th April 2018, after the 2017–18 regular season. Orlando Magic hired Clifford as their head coach on 30th May 2018. 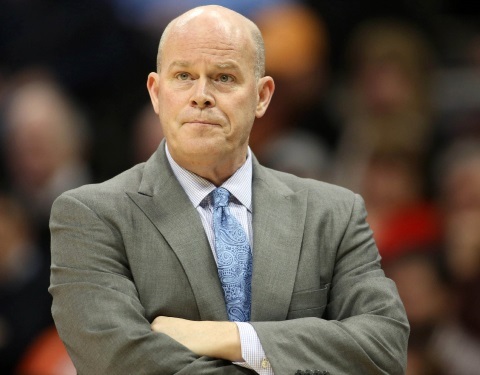 Steve Clifford is widely known for being the head coach of popular NBA teams. However, even being such a renowned personality, Clifford often keeps his personal details away from the public. It is still unknown whether the 57 years old well-known coach, Clifford is already married or not. To date, Clifford hasn't been spotted with any girls in public. Furthermore, there are no any records as well as rumors of Clifford's affairs and relationships. Moreover, he is also not active in social media such as Twitter, Instagram, and Facebook. Steve Clifford earns a tremendous amount of money from his professional career as a basketball head coach. As of now, Clifford has an estimated net worth of $4 million. Currently, he works for the Orlando Magic of NBA after signing on 30th May 2018. Clifford previously played for Charlotte Hornets. On 29th May 2013, he signed a contract with Hornets for $6 million which included an average annual salary of $2 million. Moreover, Clifford further added money from his career as an assistant coach.